Looking for Contactors? Get a quote fast. Contactors are used throughout electrical systems and control panels to switch and control circuits in lighting systems, motors, heating and HVAC systems and more. Every contactor is controlled by a circuit and connected to a high current device, unlike relays. 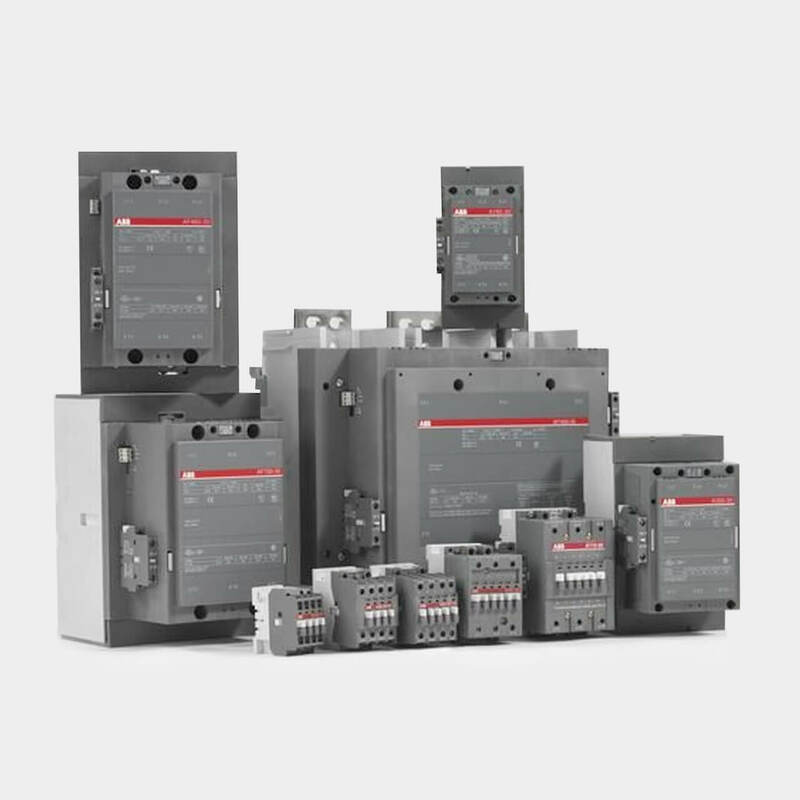 Both IEC contactors and NEMA contactors are available though NEMA contactors are considered the North American standard, and while IEC contactors are used globally, they are more popular in Europe. Not all contactors are created equal. All contactors perform the same essential function but different types of contactors vary from application to application. For example, HVAC and furnace contactors work differently than winch contactors. In HVAC systems, the contactors receive voltage from the building’s thermostat to either heat up or cool down. When the thermostat stops delivering voltage, it the contactor opens and the AC unit shuts down. A winch contactor is designed specially for applications involving winches and heavy lifting, which rely on a different type of motor. Your new contactor is waiting for you at Bay Power. We stock a number of different types of contactors including lighting contactors, reversing contactors, motor contactors, definite purpose contactors, winch contactors and more. If you don’t see what you’re looking for, we’ll utilize our global supplier network to find you the contactor you need. Combine that with our expert service, one-year replacement warranty and lineup of products from industry-leading switch manufacturers including Siemens contactors, Siemens contactors, ge contactors, Furnas, ge contactors and ABB contactors, Bay Power is your one stop shop for all your contactor needs. Used across to control lighting systems across commercial and industrial applications, lighting contactors are intended to handle and switch high current circuits. Many types of lighting contactors are available including mechanically held contactors, electrically held contactors, and definite purpose contactors. NEMA contactors are extremely versatile and easy to use. Rated according to horsepower and voltage ratings, a single type of NEMA contactor can be used for a number of applications and are equipped with additional reserve capacity. NEMA contactors are sized from NEMA size 00 to NEMA size 8. When you need precision and performance, you need an IEC contactor. IEC contactors are rated depending on the application they are going to be used for as opposed to voltage or horsepower ratings. They are also sold as individual components and are not pre-installed in a panel. Used across commercial, agricultural and industrial applications, motor contactors are used to switch and handle electrical motor loads. Motor contactors can be either AC contactors or DC contactors, with DC contactors commonly used in mills and other heavy duty applications rated up to 1000V. Low voltage and medium voltage vacuum contactors are used in especially harsh or dirty environments. Equipped with very high breaking and interrupting capacities, these contactors help keep your motors running smoothly while protecting them at the same time by extinguishing electrical arcs very quickly. Through the use of electromagnetic forces, magnetic contactors, magnetic contactors are used across low voltage applications to handle motor loads, lighting systems and heating systems. Contactor coils put pressure on the power contacts. Electricity then runs through the core of the contactor creating an electromagnetic force that keeps the contacts and contactor coils together. Definite purpose contactors are designed to handle particularly challenging electrical loads. With voltage ratings of up to 600V, definite purpose contactors are used in elevators, lighting systems, HVAC systems and heavy construction machinery across industrial and commercial applications. When space is at a premium, a miniature contactor is a great way to save space without sacrificing performance. Used across low voltage systems for light electrical loads, mini contactors can single or multi-pole, and are virtually noiseless and energy efficient. Have any old or unused Contactors lying around? Don’t get rid of them just yet. While we stock a wide range of quality electrical products and solutions, both new and reconditioned, we also buy back your unwanted equipment. So, before deciding what to do with your old Contactors and components, have one of our expert technicians take a look to see if we can save a few parts, save the environment, and save you some cash. Great service shouldn’t end after the purchase. We pride ourselves on the relationships we build with our customer-first mentality and the quality of our Contactors and components. That’s why we offer a 1-year replacement warranty on all of our electrical products and solutions from the top manufacturers. Because when you buy with Bay Power, you buy with confidence. We are proud to stock a variety of competitively priced, new and reconditioned components from the leading manufacturers of Contactors. Thanks to our extensive inventory of Contactors and components, our resourceful and expertly trained staff will always be able to get the products that you need. Through our extensive network of suppliers, we are able to carry and acquire a huge variety of electrical products and solutions, so chances are if you need it, we can get it. Bay Power’s priority is providing you with reliable, high quality electrical hardware. That’s why our mission is to make sure our reconditioned electrical products and solutions function as perfectly as the day they were built. Because while the quality is high, the cost of Contactors shouldn’t be. Our selection of new surplus Contactors may not arrive brand new in a box, but they function just as well, and have never had electricity run through them. All of the quality, none of the packaging, always with our 1-year replacement warranty.